It’s that time of year again! A time when libraries everywhere display (even more proudly) The Catcher in the Rye and The Satanic Verses. 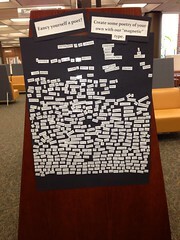 Banned Books Week is almost here and we are gearing up to promote banned/challenged books within our community. Banned Books Week is one of my favorite library events and I always get extra excited when I start putting up the promotional materials around the library. 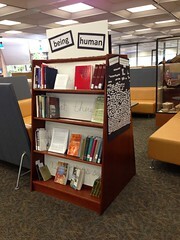 Last year I created a banned books display using Cricuted robots and I was pleasantly surprised by the discussion it created. Many of our patrons stopped by the front desk and asked for a list of the most challenged books for the year which we had printed as bookmarks. I also had a lot of our younger patrons ask me to explain why a book is banned or challenged. All in all, the display was a success and I was thrilled with how involved it got the community! This year we are creating a “Scarecrowbot” Scarecrow to enter into the first annual scarecrow contest. We decided to continue the Banned Books robot theme by creating a robot scarecrow. We are using recycled wire, old computer hardware, CRT screen protectors, broken CD/DVD’s and other bits of recycled metal. The robot will be holding a sign promoting Banned Books Week and we will be handing out materials about the “Most Challenged Books of 2011” at the circulation desk. Hopefully our Scarecrowbot will not only promote Banned Books Week, but it will also get people into the library asking questions! Questions: What are you doing for Banned Books Week? What resources do you use to help promote Banned Books? On another note, my mother who teaches 6th grade science and technology is in the running for $500 grant from Sonic and its “Limeades for Learning” project. I am trying to help her get enough votes to win so that she can get the resources she needs for her “Help Us See the Light” project. My mother is a fantastic teacher and I would love for her to get this! She deserves it! To vote for my mothers project please visit: http://www.limeadesforlearning.com/projects/view/628222 or click here. You can also donate a set amount by going to Donorschoose.org. If you use Twitter, please retweet your vote so that it is promoted, if you use Facebook let your friends vote too! You can vote once a day, everyday until September 30,2011. 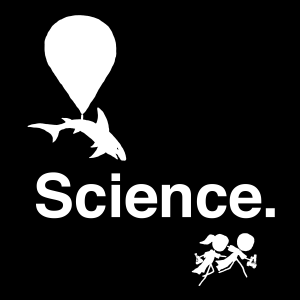 Now go fund science! Are You Sub-Scribd to Me?